Shepreth Wildlife Conservation Charity is celebrating after its first ever ‘Hedgehog Day’ proved to be a resounding success, with the four hour event raising £1,000 for the Shepreth Hedgehog Hospital. SWCC trustees arranged the fundraising afternoon after monthly outgoing costs hit £1,500 a month for the new rescue facility for hedgehogs in Hertfordshire. In addition to this, SWCC trustees still need to re-pay a loan of over £40,000 for the initial building costs. This entry was posted in News on 27/08/2013 by SWCC. This entry was posted in News on 20/08/2013 by SWCC. 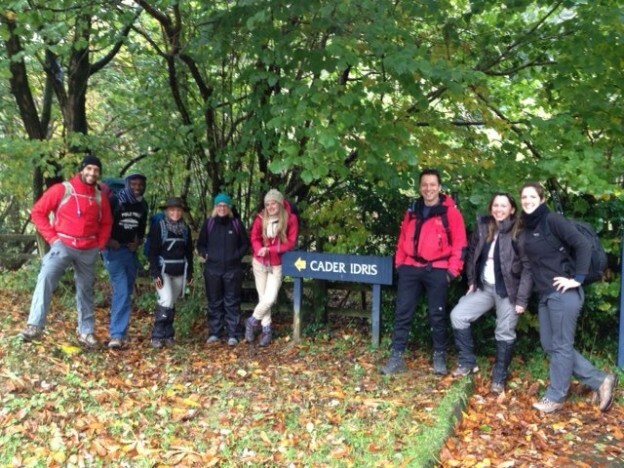 The Zoo Crew Are Climbing Kilimanjaro for Conservation! On 21st January, ten brave conservationists from collections across the country will be risking their lives by climbing the treacherous Mount Kilimanjaro in Tanzania. The group is hoping to raise the profile of the European Association of Zoos and Aquaria’s Pole to Pole campaign. The EAZA initiative is hoping to make more people aware of the impact that the middle region of the planet is having on the polar caps and the wildlife within them. To prepare for the ascent, the team have been in training for months to ensure that their fitness levels are at a high enough level to succeed. The gruelling schedule has included practice climbs of Kinder Scout, Cader Idris and Britain’s own tallest mountain, Snowdonia. This is in addition to an intense fitness and training regime. The Pole to Pole Campaign was set up by EAZA and the American Association of Zoos and Aquaria (AZA) to try and encourage the public to make a small change in their behaviour to help with preserving the climate. As well as raising awareness for the Pole to Pole Campaign, each member of the team is raising money for their own chosen charities. Rebecca is raising funds for both 21st Century Tiger and The Shepreth Hedgehog Hospital, both integral in saving the lives of tigers and hedgehogs respectively. This entry was posted in News on 15/01/2013 by SWCC. With 73 hedgehogs getting ready for release next month at Shepreth Wildlife Park, one little hedgehog is desperately looking for love. ‘Valentine’ aptly named by Hospital Manager, Natasha Ennew, was brought to the Shepreth Hedgehog Hospital after he was found disorientated during the day in someone’s garden. On arrival the hedgehog was not only diagnosed with ringworm and mites, but he was also riddled with internal parasites too. This entry was posted in News and tagged hedgehogs on 02/02/2012 by SWCC.